Whether you'd like to check your Experian Credit Score, understand the factors that are affecting it or are just looking for a new deal on a credit card, loan or mortgage, we may be able to help. Each of our products have different features and benefits – aimed at helping you achieve your financial goals. Choose the one that’s right for you. You don't need a CreditExpert subscription to use our comparison services. You don't need an Identity Plus subscription to use our comparison services. 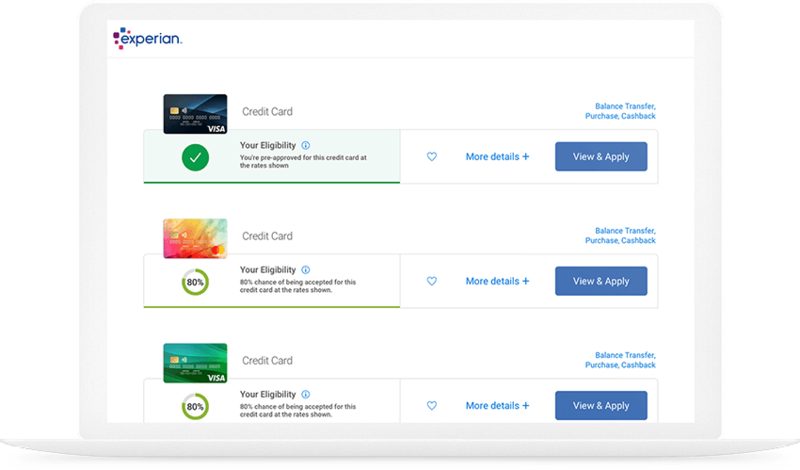 Identity Plus is only available to customers with a free Experian account. Get your free account and upgrade it to Identity Plus at anytime. Your statutory credit report shows a snapshot of your credit history. It contains public and private information recorded in your name which is available to authorised lenders that carry out a credit check through Experian. * For Identity Plus a monthly fee of £6.99 applies after your free trial. For CreditExpert a monthly fee of £14.99 applies after your free trial. You may cancel during your 30-day free trial without charge. New customers only. Free trial period starts on registration - further ID verification may be required to access full service which may take up to 5 days.